and the only manufacturer of caprolactam. The only Ukrainian manufacturer of calcium-ammonium nitrate (CAN). plant in OSTCHEM group producing acetic acid, methanol and vinyl acetate. completely covers the country’s business needs for ammonia water. of organic synthesis and organic acids. 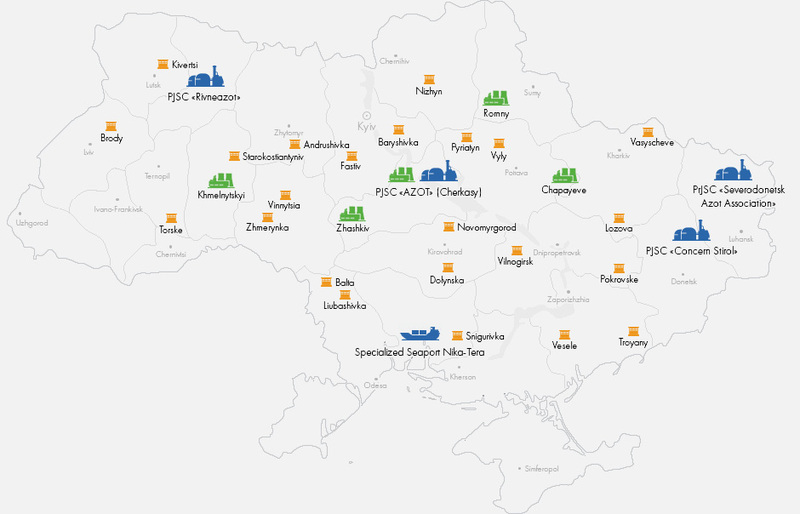 network of mineral fertilizers in Ukraine. Specialized seaport Nika-Tera was founded in 1995.
grains, oil, sulphur, phosphates, coal and other dry cargoes. in corporate social responsibility projects. OSTCHEM group contributes to professional education development motivating young specialists to work in the chemical industry. to efficient consumption of water resources. productivity of the land and reduce ecological impact on the soil.